Blockchain Products/Services Offered: Accenture is a Premier member of Hyperledger. 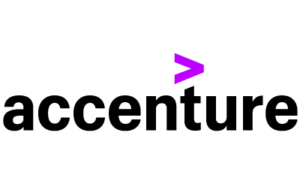 As a Provider under the Vendor category, Accenture offers end-to-end blockchain solutions to our clients and leverages Hyperledger Burrow, Composer, Explorer, Fabric, Indy, Iroha, Sawtooth and Caliper at the time of this submission. 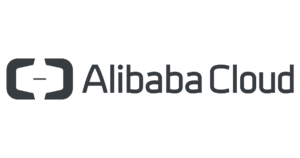 Alibaba Cloud provides a comprehensive suite of global cloud computing services to power both our international customers’ online businesses and Alibaba Group’s own e-commerce ecosystem. In January 2017, Alibaba Cloud became the official Cloud Services Partner of the International Olympic Committee. Blockchain Products/Services Offered: Alibaba Cloud offers Blockchain as a Service (BaaS), a production-ready trust infrastructure for digital transformation of enterprises. BaaS provides secure blockchain networks spanning global regions and supports Hyperledger Fabric, Ant Blockchain, etc. Alibaba Cloud welcomes worldwide partners and customers to collaborate and co-create a greater blockchain business world. Altoros is a 250+ people strong consultancy helping organizations digitize revenue streams using Hyperledger technologies. We are behind a number of working blockchain prototypes and solutions for the financial industry: Distributed Clearing Platform for Derivatives; Bond Issuance and Trading; and recently, Commercial Bonds Platform for Russia’s National Settlement Depository (NSD). Blockchain Products/Services Offered: We provide hands-on classroom Hyperledger Fabric training, as well as technical consulting services: use case validation & feasibility study, building proof of concepts, production-grade implementations. Global provider of quality education around blockchain and decentralised applications. Blockchain Products/Services Offered: Certified Hyperledger Fabric Developer Course and more projects coming. Bitmark defines digital property, defends it, and makes it economically divisible. As the property system for establishing value and legal control over the world’s data, Bitmark allows individuals, institutions, and corporations to gain control of their digital property: they can register titles to establish property rights, prove provenance and chain of ownership, and benefit from cross-border and local legal compliance. 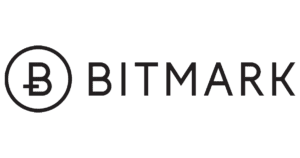 Blockchain Products/Services Offered: Bitmark uses Hyperledger libraries to facilitate interoperable digital property and data transactions as well as identity management of the constituents transacting digital assets and data. BlackRidge Technology provides an adaptive cyber defense solution that enables our customers and partners to deliver more secure and resilient business services in today’s rapidly evolving technology and cyber threat environments. Blockchain Products/Services Offered: BlackRidge provides proactive network security and cyber defense for distributed network-based applications including blockchains, protecting them from unidentified and unauthorized discovery and access, insider threats, and DDoS attacks. 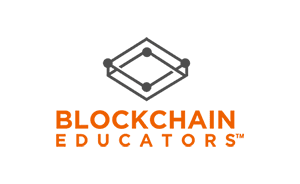 Blockchain Educators offers a variety of online and in person blockchain education courses. We teach blockchain beginners, corporations, entrepreneurs and developers. Blockchain Products/Services Offered: We provide Hyperledger training/courses to individuals, corporate clients, entrepreneurs, incubators/accelerators, advisory and code Implementation for organizations. The Blockchain Research Institute provides non-partisan strategic research to our member companies, of which Hyperledger is an affiliate member. Blockchain Products/Services Offered: We assist organizations in understanding the ecosystem and the applications for business and society, so they can make better decisions down the road. Our mission is to bring the benefits of blockchain to business and accelerate its adoption by providing a powerful blockchain management platform that frees up enterprises to focus on application development with training, consulting and support provided by us. Blockchain Products/Services Offered: We offer Sextant™ – a blockchain management platform that delivers one-click deployment of enterprise-grade Hyperledger Sawtooth networks, utilizing our carefully curated distribution and running on Kubernetes in the cloud. We also implement and operate blockchain-based solutions for organizations designed to run on this platform. Blockdaemon is the only multi-cloud platform that supports leading blockchain protocols. Launch your node on a public network or join a private network in minutes. Blockchain Products/Services Offered: Blockdaemon is a contributor to Hyperledger Fabric to help developers and enterprise teams launch and deploy nodes easily on a secure blockchain network. Bloq is preparing companies for a blockchain-enabled world where they can complete transactions faster, more efficiently and securely. To get up and running with blockchain, businesses need a trusted solution, ironclad security, enterprise-grade support and deep expertise. 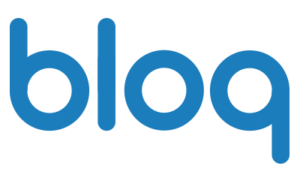 Blockchain Products/Services Offered: Bloq provides a complete software solution that lowers total cost and operational barriers for organizations that want to innovate with blockchain-enabled technology. Our software platform, BloqEnterprise, allows companies to build, manage and scale robust blockchain-enabled networks, backed by enterprise-grade service and support. Bloq is built on open source technology, and provides the key connective tissue to securely interoperate with existing business systems. Bloq’s technology focuses on solving key business issues surrounding security, provenance, authentication and reconciliation. 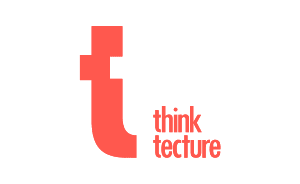 Bloq also offers strategic architecting and consulting through BloqThink. Cardstack builds cohesive experiences on top of decentralized protocols as well as cloud services, so new value networks can form over existing data assets and market relationships. 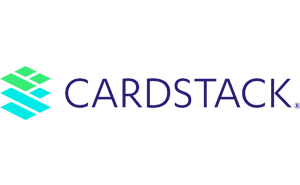 Blockchain Products/Services Offered: Cardstack leverages Hyperledger Sawtooth, Ethereum Virtual Machine (EVM), and other projects to conceptualize, design and develop decentralized ecosystems with our open-sourced framework and tools. Chaindigit has successfully provided training, consulting, development and provisioning services for Hyperledger Fabric to clients across the globe. Our LaunchPad services include CDPaaS, a decentralized console to provision Fabric Business Network in a matter of minutes and common libraries which can save many months of efforts. Blockchain Products/Services Offered: Hyperledger Fabric Implementation Services, CDPaaS for quick production grade provisioning of Fabric Business Network, In-depth technical hands-on training. Blockchain Strategy and Professional Services Company with extensive experience in providing Blockchain solutions via specialized consulting services focused on interoperability. Experts in assessing Blockchain readiness, developing DLT/Blockchain architecture, development services, and deployment. Blockchain Products/Services Offered: Help organizations with Use Case development/Ideation, provide Blockchain development services, and dapp development with iOT/AI/ML services. 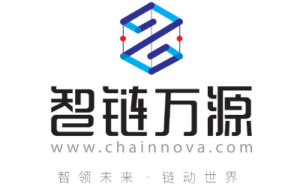 ChainNova is a leading technology company mainly providing blockchain based solutions for clients in FinTech, supply chain, industrial IOT, insurance area, etc. Our team is comprised of experts in blockchain, cloud, big data and AI. Blockchain Products/Services Offered: Some products and services follows: FinTech Industry Solutions, The Debt Financing Plan Platform Solution, Enterprise External Cost Trading Platform Solutions, Supply Chain (Commodity) Tracing Industry Solutions, and IP Information Notarization and Transaction Solutions. 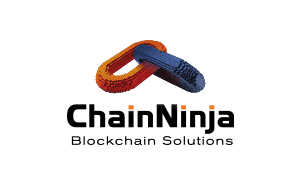 Learn more about ChainNova’s blockchain solutions here. Chainyard™ is a leader in developing blockchain-based solutions for enterprises. Our team has delivered leading-edge solutions that address manufacturing, financial services, supply chain, and government services pain points. These solutions are critical to improving efficiency and creating competitive advantage for our clients. Blockchain Products/Services Offered: We offer education, technical workshops, architecture assessments, business systems solution design, user interface design, continuous integration and delivery pipelines, operational impact assessments, network support services, consortium building, governance models and other activities that are critical to enabling a business to participate in a decentralized ecosystem. 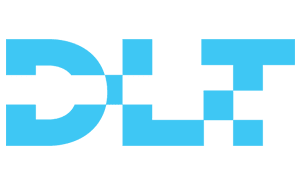 Circulor deploys blockchain solutions to improve traceability and efficiency in complex industrial supply chains. Their particular focus is electric vehicle battery materials (eg Cobalt) and conflict minerals used in consumer electronics (eg Tantalum). Blockchain Products/Services Offered: Circulor develops and deploys solutions to improve traceability/provenance in complex industrial supply chains. Circulor also provides consultancy to define use cases and build products for specific situations. Cisco develops, manufactures and sells networking hardware, telecommunications equipment, and other high-technology services and products. Coinplug has pioneered in building B2C platform for everyday use of bitcoin in Asia. 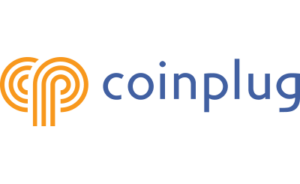 Coinplug excels in understanding and utilizing Blockchain’s core technology and serves financial industry clients and government organizations in Korea. 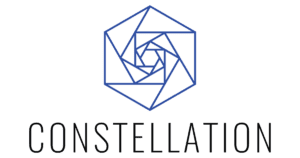 Constellation is a distributed network that enables fast, scalable solutions for organizations who need to process and transfer data securely. Blockchain Products/Services Offered: Fast, scalable protocol for enterprise use. Development of POCs. Distributed ledger technology consultation, training and education services across industry sectors, DLT application development, cross-protocol integration expertise (interoperability), IOT security and data solutions, smart contract integrations, automotive/mobility industry sector focus, distributed system’s (e.g. MapReduce) application. CPqD is a private nonprofit research and development center and an essentially innovative organization that transforms knowledge into wealth for Brazil. It has a unique model of operation in Information and Communication Technologies, transferring and exploring, with excellence, its results. Blockchain Products/Services Offered: Consulting services for innovation in business networks: design thinking and design sprint techniques to co-create an application. Application and DLTs implementation for (1) traceability of things (IoT), (2) digital identity and (3) contract automation. CULedger enables credit unions to enhance their digital strategy by bringing innovative distributed ledger applications to the market in order to lower costs, improve efficiencies, increase speed and provide advanced security. Blockchain Products/Services Offered: CULedger’s main focus is with the Hyperledger Indy project. The company has created a global self-sovereign identifier, called MyCUID, that permits the more than 235 million consumers worldwide to interact with their credit union. 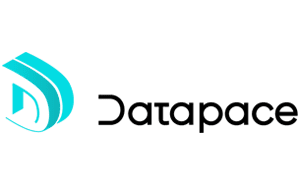 Data marketplace powered by blockchain enabling automatic smart contract, internal private token, and ML, AI enhancement. DMX is an enterprise level business mobility solutions marketplace for the automotive industry. 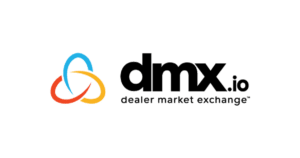 Blockchain Products/Services Offered: DMX provides its VINblock™ business blockchain solution for car makers using Hyperledger Fabric under DMX Foundry. Blockchain Products/Services Offered: Blockchain technology is emerging as a business focus for organizations in several industries, including consumer products, manufacturing, financial services, health care, life sciences, and public sector. Deloitte helps companies and organizations achieve many goals with respect to blockchain implementation—innovation and ideation, strategy development, prototyping, and product development. Learn more about Deloitte blockchain solutions here. 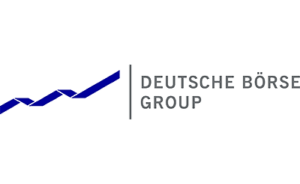 Deutsche Börse Group is one of the largest market infrastructure providers worldwide. It organizes markets characterized by integrity, transparency, and safety for investors who invest capital and for companies that raise capital. It operates markets on which professional traders buy and sell equities – the German cash market Xetra / Boerse Frankfurt, derivatives via Eurex and other financial instruments according to clear rules and under strict supervision. Blockchain Products/Services Offered: Recent activities in the blockchain area include building a blockchain solution for cross-border collateral mobilization in cooperation with the “Liquidity Alliance,” the joint development of a functional prototype for the blockchain technology-based settlement of securities, and to create a collateralized coin effort called “CollCo” to enable credit risk-free payments and delivery-versus-payment asset/value transfer. Dianrong was founded in 2012 and offers small businesses and individuals a comprehensive, one-stop financial platform supported by industry-leading technology, compliance and transparency. Blockchain Products/Services Offered: Dianrong provides enterprise-level blockchain as a service platform based on public cloud and Hyperledger Fabric. It enables people to deploy and manage customized blockchain quickly, easily, securely and economically. It also provides software development kit to help developers design strong and flexible blockchain applications efficiently. DigiCert is the leading certificate authority for global businesses, offering digital certificate issuance and lifecycle management at any scale via its platform, CertCentral®. The most innovative companies, including the Global 2000, choose DigiCert for its expertise in identity, authentication and encryption for web servers and Internet of Things devices. Blockchain Products/Services Offered: DigiCert offers expertise in building and maintaining large-scale identity verification and authentication systems that enhance the trustworthiness of blockchain-based systems. They help secure the connections that drives today’s business. DigiCert contributes developer resources to strengthen the security and integrity of Hyperledger connections. This will include offering Blockchain as a Service (BaaS), based on Hyperledger Fabric. DLT Labs is a global leader in distributed data management, delivering Blockchain products and solutions for businesses. With deep expertise in technical innovation and one of the world’s largest pools of highly skilled and experienced blockchain experts across the globe, DLT Labs’ products enable transformation and innovation of complex processes. Blockchain Products/Services Offered: Leveraged by Hyperledger Fabric, DLT Labs’ products can be seamlessly integrated with legacy systems, offer out of the box integration through open APIs and are modular and configurable to suit all or specific business needs. 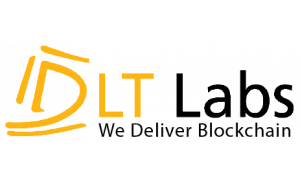 DLT Lab’s portfolio includes DL Asset Track™- supply chain management platform; DL Ecosystem™- payments platform; DL Verify™- verification and reporting platform; DL Data Consent™- personal data management platform; DL Certify™- records management platform. We are a trade finance platform with several traders and banks unified into working on a network. The platform has modules for autonomous trade contracts, tracking, paperless trade functionalities. We offer a similar capability to support supply chain in large manufacturing organizations where we network suppliers in a unified and shared visibility model. Blockchain Products/Services Offered: Platform induction training, Platform deployment, use case validation, QA, training. EBPI provides platform services for qualified information exchange. Blockchain Products/Services Offered: Hyper42—a spinoff of EBPI—delivers two products based on Hyperledger Fabric and Hyperledger Composer. Hypertrace provides a track and trace solution to trace the whole transport chain of goods from manufacturer to orderer and gives customs insight in suspicious or incomplete chains. It can integrate with Single Window platforms. Hyperport provides audit trail functionality for chain platforms like SBR (Standard Business Reporting) and assures that all steps during qualified information exchange between companies and governments are registered. This audit trail is transparent and cannot be changed. 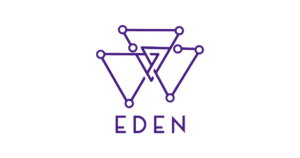 Edenchain is a blockchain technology designed specifically with enterprises in mind. It is fast, secure and reliable third generation blockchain platform. Blockchain Products/Services Offered: Edenchain was built a Hyperledger Project with the aim of creating a permissioned blockchain which balances the advantages and limitations of a public and private blockchain. The result is a product that is a scalable, secure, high-performance and reliable blockchain platform that affords enterprise users flexibility to keep information in the blockchain privately or transparently for accountability. 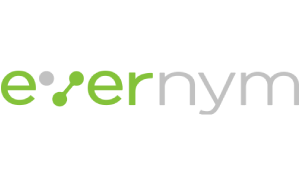 Evernym develops applications for secure, private, portable and permanent identity management atop the Sovrin distributed ledger. Blockchain Products/Services Offered: Evernym solutions are powered by Hyperledger Indy—the internet’s long-missing identity layer. These applications give identity owners, be it individuals, organizations or connected devices, independent control of their personal data and relationships. 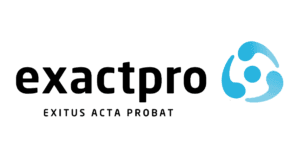 Exactpro is a specialist firm focused on functional and non-functional testing and software development of systems that process wholesale financial products across many asset classes, such as trading and clearing systems, risk management, market surveillance, securities data distribution, and post-trade infrastructures. These services are offered to exchanges, investment banks, brokers, technology firms and other financial organizations worldwide. Blockchain Products/Services Offered: Quality Assurance of financial software built on DLT: test planning, building of functional and non-functional test library, test execution, test results reporting and analysis. 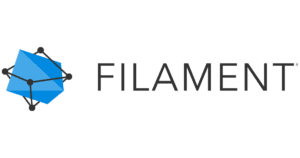 Filament builds comprehensive blockchain systems for the enterprise and the Industrial Internet of Things (IIoT). Its hardware, software and service solutions allow connected devices and machines to securely interact with and transact value against distributed ledger technology. Blockchain Products/Services Offered: Filament is currently supporting the open-source business blockchain frameworks Hyperledger Sawtooth and Hyperledger Fabric on its blockchain-native products including Blocklet Chip™, Blocklet™ USB Enclave, Blocklet UART Enclave, Blocklet Software, and Blocklet Kit. 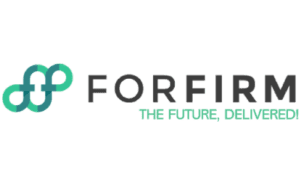 FORFIRM is an IT consultancy company that uses its expertise and passion to develop innovative solutions for companies. Blockchain Products/Services Offered: We will code for your solutions on the Hyperledger Fabric framework. Blockchain Products/Services Offered: Fujitsu is participating in Hyperledger as a premier member and founder, a world-leader in DLTs holding close to 50 patents concerning blockchain and is deeply involved in the development of DLTs. 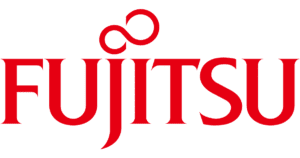 Fujitsu now provides the Blockchain Platform Service. a ready-to-use “Blockchain as a Service”. This takes away the burden on enterprises of building their own end-to-end blockchain. capabilities. HealthVerity is transforming the way data-led organizations make critical decisions. Our technology platform serves as the foundation for the rapid creation, exchange and management of healthcare and consumer data in a fully-interoperable, privacy-protecting manner. Blockchain Products/Services Offered: HealthVerity Consent, built on Hyperledger Fabric, allows organizations to aggregate and manage all individual patient and provider preferences in one central location to comply with evolving privacy requirements. By integrating the infrastructure and information technologies it has created through more than a century of experience, Hitachi provides new solutions in areas like transportation and energy systems to make the planet a safer, smarter, healthier and more secure place. Hitachi is contributing to the development of blockchain core functionality to be applied as a global standard. 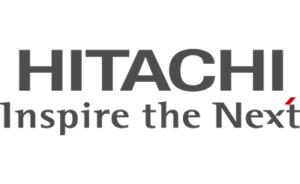 Blockchain Products/Services Offered: Hitachi offers “Hitachi Blockchain PoC Environment Provision Service for Hyperledger Fabric” to enable blockchain trials on our secure cloud environment, which allows our client to run PoC testing simply and quickly at a limited cost. Huawei is a leading global information and communications technology (ICT) solutions provider. Driven by a commitment to sound operations, ongoing innovation, and open collaboration, we have established a competitive ICT portfolio of end-to- end solutions in telecom and enterprise networks, devices, and cloud technology and services. Our ICT solutions, products, and services are used in more than 170 countries and regions, serving over one-third of the world's population. With 180,000 employees, Huawei is committed to enabling the future information society, and building a Better Connected World. Blockchain Products/Services Offered: We mainly focus on developing blockchain solutions for telecom, finance, media, and industrial IoT. Besides, Blockchain as a Service based on Huawei Cloud is also an option. IBM is a cognitive and cloud solutions company. It is helping build smarter businesses with a wide range of technology solutions and consulting services. 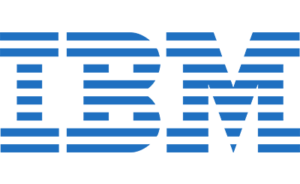 Blockchain Products/Services Offered: IBM is a contributor to many Hyperledger technologies including Hyperledger Fabric and Hyperledger Composer. 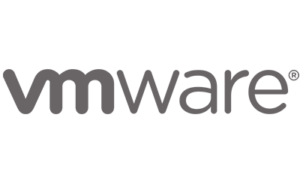 IBM Blockchain Platform, an enterprise-ready blockchain as a service leverages Hyperledger Fabric to help developers build secure blockchain networks. Industry leaders can leverage IBM Blockchain Services, contributors and experts on Hyperledger technologies, to design, build and scale their blockchain networks. Industries: Cross-Industry. Financial Services, Healthcare, Supply Chain, Retail, Government. 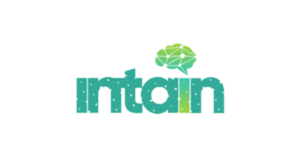 Intain is a research-based technology company that combines the powers of Artificial Intelligence and the Blockchain technologies to build transformative industry-focused solutions and platforms. Blockchain Products/Services Offered: eMulya is one of the world’s foremost Blockchain based Asset Securitisation platforms that combines AI with Blockchain bringing together issuer, investor, and potentially the rating agencies, with eMulya’s AI performance monitoring engine. Blockchain Products/Services Offered: Enterprise customers can leverage support and services for Hyperledger Sawtooth to deliver blockchain applications in the financial, supply chain, and other industries. 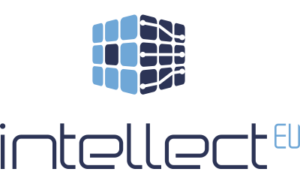 IntellectEU is an international technology company with 10+ years of integration and development experience. With core expertise in financial integration, middleware, and development on top of Distributed Ledger Technology, we combine within a single ecosystem both, existing legacy infrastructure and emerging technologies, without business interruption. Blockchain Products/Services Offered: Blockchain/ DLT development. Implementation of custom DLT use cases, PoCs, MVPs. Integration of Blockchain/ DLT with different back-office applications, platforms, legacy systems. Financial Integration: key Industry Standards, Formats & Protocols, Networks & Back Office Apps. Technical consulting and support. Developer Seat and technical training. Financial Software Development. The non-profit IPChain project is a decentralized distributed intellectual property registry. The IPChain project is a trust infrastructure for the global intellectual property market. Blockchain Products/Services Offered: The non-commercial project IPCHAIN is a B2B-service for corporate clients, which allows using Hyperlager-based blocking technology to store information about all objects of intellectual property, their owners, and all operations that occur with them. The non-commercial project IPCHAIN allows creating commercial services on its basis. 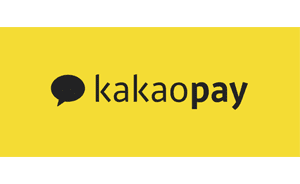 Kakaopay launched Korea’s very first mobile payment service, which now evolved into a comprehensive financial service suite that includes online and offline payments, money transfer, billing, membership, and identity verification services. Our vision is to make financial transactions more convenient and accessible in everyday life for everyone. Blockchain Products/Services Offered: Korea’s first messenger-based identity verification service that enables electronic signature and simple authentication. Users can authenticate without having to download Active X or other additional software. Organizations can streamline business process, reduce cost and increase customer satisfaction. 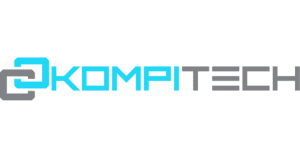 KompiTech is a Swiss information technology company with headquarters in Zurich. Our expertise is blockchain technology, IT consultancy, software, business processes and IT services solutions tailored to customers' needs globally. Blockchain Products/Services Offered: KompiTech Manblock is a managed blockchain platform that provides end-to-end blockchain infrastructure resource management. Manblock makes it easier to automate application deployment, create your blockchain network, invite new members and scale. The dashboard provides an overview of network analysis, tracking, and monitoring of your business network and resources. Currently, KompiTech Manblock supports Hyperledger Fabric framework. Future support of Hyperledger Sawtooth and Ethereum frameworks are under development. KompiTech also provides blockchain training and consultancy on Hyperledger technologies to help you design, develop, deploy and manage your blockchain applications and network. 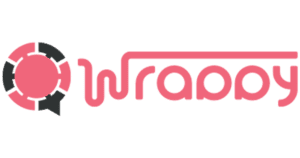 KrypC is a global technology solutions company delivering secure and production grade Blockchain applications to Enterprises across industry and functional domains. Blockchain Products/Services Offered: We enable the enterprise to accelerate their Blockchain adoption in a short time with rapid and Iterative application development capability built on Hyperledger Fabric. Our flagship product ‘KrypCore’ is fully configurable, near zero coding production grade platform. KrypCore vertically integrates businesses’ workflow, processes, and parties and delivers an encrypted, smart Blockchain solution. As a part of our development effort, we code for organizations and also help with defining their use cases by working with them; we have developed more than 40+ use cases in the area of supply chain, healthcare, law, travel, insurance, banking, financial service, and many other areas. LedgerDomain empowers fast, personalized, and secure transactions with the world's first enterprise-scale blockchain app server – Selvedge. This Communal Trust Platform is designed to bring private, permissioned blockchain solutions to global organizations. 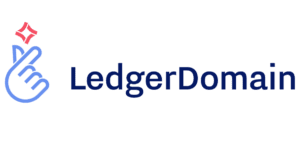 Blockchain Products/Services Offered: LedgerDomain has built Dev Ops tools that handle a range of non-trivial challenges that blockchain sponsors face, such as defining the organizations in the network-to-be; communicating crypto/configuration materials for network bootstrapping; configuring, deploying, running, and monitoring all services in the Fabric network, and creating the channel(s) and having peers join the desired channels. LedgerDomain’s blockchain application server, Selvedge (a self-finished edge of Hyperledger Fabric that cannot unravel) both manages the original configuration and dynamically respond to environmental challenges. Loyyal is a leading Blockchain company operating in the loyalty and rewards space. A global B2B2C focused network using blockchain and smart contract technology, we provide capabilities to operators to incentivize any action or behavior, including technical capabilities allowing for drastic improvements to existing programs in interoperability, scale, speed, tracking and consumer targeting. Blockchain Products/Services Offered: Hyperledger Fabric based rewards platform providing access to a global loyalty network as well as blockchain and smart contract capabilities. Through partnerships with IBM and global consultancy groups, Loyyal’s solution may be integrated with program operators’ systems. 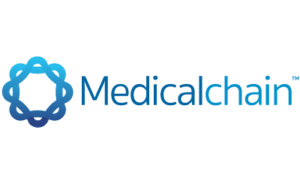 Medicalchain is a decentralised platform for the storage and utilisation of electronic health records. The platform has several apps including Telemedicine and data exchange. Blockchain Products/Services Offered: We are building our platform on Hyperledger Fabric. MediConCen Limited was founded by blockchain experts, actuaries, programmers and ibankers with profound experience in the insurance and financial sector. Combining domain knowledge, understanding of regulations and technical know-how, we co-developed production blockchain solution with our partners. Blockchain Products/Services Offered: MediConCen provides enterprise-grade blockchain solution to our clients. We co-develop our first next-generation medical blockchain ecosystem with leading insurers in Hong Kong with Hyperledger Fabric. The Monax Platform is a contract lifecycle management tool which allows consumers to easily procure lawyer-tested agreements and stay in full control of their business contracts. Blockchain Products/Services Offered: Monax is the long term maintainers of Hyperledger Burrow. Hyperledger Burrow provides a modular blockchain client with a permissioned smart contract interpreter partially developed to the specification of the Ethereum Virtual Machine (EVM). 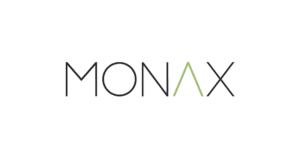 Monax is a collaborator on the Agreements Network, a Hyperledger Burrow based network which allows anyone to develop, customize, sell and reproduce legal products. MonetaGo works with financial institutions and central banks in countries around the world to provide private permissioned blockchain solutions. Our product suite is designed to improve the efficiency and security of banking procedures and financial products, while seamlessly integrating with existing systems and protocols. Blockchain Products/Services Offered: MonetaGo’s product suite is a complete toolset which makes it easy for financial institutions to get started with intra and interbank payments on private permissioned blockchains that are owned and operated by the participants. MonetaGo Manager provides the ability to configure and deploy private blockchains with tools for administration and governance. 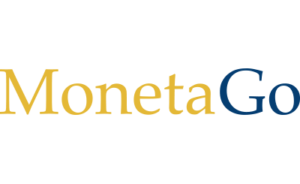 MonetaGo Connect is highly configurable for interoperability with existing real-time payments and settlement systems and core banking systems. MonetaGo Marketplace provides standards upon which additional use cases become possible such as eKYC, trade finance, information settlement, and cross-border payments. 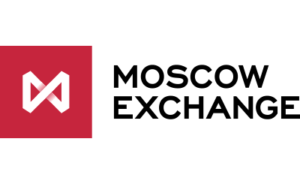 Moscow Exchange operates trading markets in equities, bonds, derivatives, the foreign exchange market, money markets and precious metals. It also operates Russia's Central Securities Depository (National Settlement Depository) and the clearing service provider (National Clearing Centre). NEC Corporation is a leader in the integration of IT and network technologies that benefit businesses and people around the world. By providing a combination of products and solutions that cross utilize the company's experience and global resources, NEC's advanced technologies meet the complex and ever-changing needs of its customers. Blockchain Products/Services Offered: NEC is offering the KYC platform aiming at the efficiency of identity verification work for financial institutions and other companies. By utilizing our safety and security technologies, we can provide a safer and more reliable environment. In addition, we will contribute not only to improving the efficiency of KYC operations by companies, but also to improving customer convenience. norbloc provides financial institutions with a highly secure and scalable solution for Know-Your-Customer applications based on Hyperledger permissioned distributed ledgers. 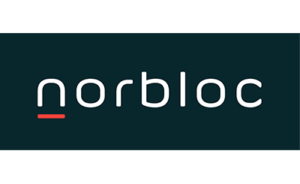 The norbloc platform removes duplication of efforts from both banks and customer sides and allows GDPR compliant sharing of information between customers and obliged entities. Blockchain Products/Services Offered: Legally compliant (GDPR and 4th AML/KYC directive) KYC platform with seamless workflow design and incorporation of multiple APIs for collecting public data for bank customers. The platform can also be employed for any sharing of information, e.g. MIFID data, between customers and banks on a highly regulatory compliant flow that eliminates duplication of efforts and provides a detailed and immutable audit trail. NTT DATA is your Innovation Partner anywhere around the world. We provide premier professional services from consulting, system development to business IT outsourcing. Blockchain Products/Services Offered: NTT DATA and Everis are developing the Interledger Java implementation of the Interledger Protocol (ILP) in order to make distributed ledger platforms and blockchains interoperable with existing financial ledgers. They are also working with banks on implementations of distributed ledger solutions for Cross-Border Payments and Trade Finance. NTT DATA is implementing services with Oil & Gas and Manufacturing companies, in domains like Commodities Trade and Supply Chain Tracking. Current developments of NTT DATA are blockchain as a service on Ethereum and integration of EWA Digital Wallet Platform (IP) with Digital Currencies. NuCypher provides data privacy infrastructure for distributed applications that use proxy re-encryption to securely share encrypted data and fully homomorphic encryption to process encrypted data. Blockchain Products/Services Offered: NuCypher’s data privacy layer that uses proxy re-encryption can be deployed on Hyperledger Fabric to allow applications to ensure that their data remain private, confidential and encrypted while maintaining the ability to share that data with trusted parties. Proxy re-encryption is a more scalable and performant form of public-key encryption that allows a proxy entity to transform encrypted data from one public key to another without decrypting the data or having access to private keys. It is well-suited to use cases in which encrypted data needs to be securely shared and serves as a means of delegating and revoking decryption rights. Rather than naively sharing private keys with recipients or encrypting the data for each recipient via public key encryption, data is encrypted once and then access delegated to it based on the recipients’ public keys. 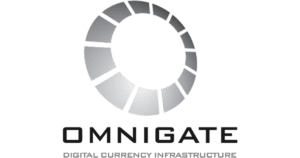 Omnigate is a software company that develops a standardized platform simplifying the development of new financial services. Blockchain Products/Services Offered: Our product features a ledger that is already integrated with Hyperledger Quilt. 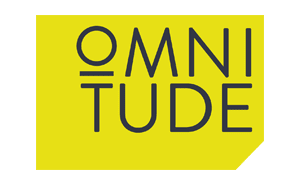 Omnitude is a middleware blockchain layer, not a single solution blockchain application. It's a toolkit for businesses to integrate the benefits of blockchain technology into the commercial fabric of their organizations easily and cost efficiently. We take away the barriers to entry for adopting blockchain, no large fees paid to middlemen, pure-play blockchain expertise balanced with real-world experience. Blockchain Products/Services Offered: We are a middleware platform, we build with Hyperledger frameworks and Hyperledger tools, including coding and implementation. At the same time, we are a consultancy that defines use cases and solution frameworks. Optherium's goal is to solve current fintech problems by building a private distributed ledger network permitting individuals and corporations to securely store, interchange and trade digital assets with world fiat currencies worldwide, with no limit. Blockchain Products/Services Offered: Optherium Wallet: Allows individuals and small businesses to secure their digital assets with Multisecure Technology™ utilizing Dynamic Biometrics™ while managing their assets directly from their decentralized wallets. Optherium KYC Service: Allows users and Optherium Ecosystem services to verify the credentials of any user. Optherium KRS Service: Allows users to recover their assets in the event their keys are lost or stolen. Optherium Exchange: A fully functional, Multi-Decentralized™ Digital Currency Exchange provides liquidity for any and all transactions within the ecosystem that require instant conversion and confirmation. Blockchain Products/Services Offered: Oracle has built a fully-managed Oracle Blockchain Cloud Service, which is a platform for building blockchain networks. The platform is built using Hyperledger Fabric as a foundation, with Oracle’s value-added components for plug-n-play integration, autonomous capabilities, enterprise-grade resilience, HA, security, pre-assembled out of the box capabilities to make it easy for enterprises to adopt and get started with Blockchain. We are an agile, transformative and scalable organization solving siloed database issues with an integrated Blockchain solution. Peer Ledger provides organizations across the world with technology to ensure responsible sourcing. 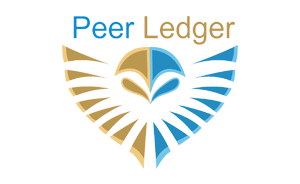 Blockchain Products/Services Offered: Peer Ledger provides the Hyperledger Fabric-based MIMOSI product for responsible sourcing and an Identity Bridge for identity resolution services. Our goal is to create the first extraction facility in the U.S. in which all industrial processes will be powered by our blockchain-based supply chain management system. 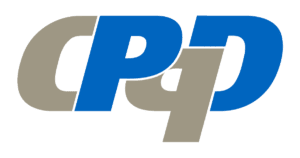 Blockchain Products/Services Offered: Petroteq Energy, Inc. offers supply chain management utilizing Hyperledger technology for oil petroleum exchange. When you Tokenize the Loyalty Points of your existing loyalty platform, a whole new realm of possibilities becomes available. The Pravici Blockchain offering will enable the definition and creation of a company-sovereign loyalty coalition. Blockchain Products/Services Offered: Pravici will offer services in conjunction with the delivery of the Pravici Blockchain product. We provide leading, enterprise level blockchain platform. Blockchain Products/Services Offered: We provide enterprise level blockchain platform and solutions which mainly focus on the applications for the financial services, e-commerce, international shipping, copyright protection, O2O platform, etc. REMME is an enterprise-grade Access Management solution that brings a security of businesses sensitive data by removing weakest part in security chain - passwords. Blockchain Products/Services Offered: REMME’s solution replaces traditional centralized instances of Public Key Infrastructure (such as Certificate Authorities, Registration Authorities, Access Directory Protocol etc.) with distributed Public Key Infrastructure PKI (d) solution empowered by a distributed ecosystem built on top of Hyperledger Sawtooth Framework. 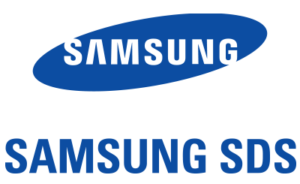 Samsung SDS is a global IT solution and service provider spearheading the Fourth Industrial Revolution with sophisticated analytics-based solutions and IT expertise across a diverse range of industries. Our vision is driven by a fundamental desire to get to the core of problems, leveraging the most advanced ICT technologies and solutions to discover actionable insights. Blockchain Products/Services Offered: Samsung SDS provides scalable Blockchain platform for any business network. Our Blockchain technology is not limited to only fulfilling financial tasks, but can also be used for various business tasks such as logistics, supply chain management, authentication or B2B transactions. Businesses can also utilize the synergy from Blockchain, advanced AI and IoT connectivity to acquire new business opportunities. Click here to learn more. At SAP, we see blockchain as a promising way to optimize, reimagine and even revolutionize processes in a technology-driven and interdependent economy. We actively engage in the blockchain ecosystem and use our expertise in 25 industries and across all lines of business to capitalize on the potential of enterprise blockchain. SAP is committed to deliver real business value by providing easy access to blockchain technology, enabling our portfolio and building new blockchain-based solutions. Blockchain Products/Services Offered: SAP offers a technology platform on which account holders can create and maintain blockchain service instances, with the ability to create your own, or join existing Hyperledger Fabric networks. With access to a service instance, account holders can deploy, explore, and expose chaincode as necessary. In addition to this, SAP supports their partners and customers with both business development and engineering consulting services. This can include co-innovation development, and the scoping and realising of use cases. ScanTrust operates an Enterprise SaaS platform with blockchain capabilities that connects hundreds of millions of products to the Internet by giving these products each a unique digital identity in the cloud. With its invention of the world’s first copy-proof 2D barcodes (QR or datamatrix codes), the ScanTrust solution empowers brand owners and consumers alike to bring trust, transparency & traceability to the supply chain. SecureKey is a leading identity and authentication provider that simplifies consumer access to online services and applications. SecureKey is a champion of the ecosystem approach to identity, revolutionizing the way consumers and organizations approach identity and attribute sharing in the digital age. SecureKey’s next generation privacy-enhancing services enable consumers to conveniently and privately assert identity information using trusted providers, helping them connect to critical online services with a digital credential they already have and trust, while ensuring that information is only ever shared with explicit user consent. Blockchain Products/Services Offered: SecureKey’s digital identity and attribute sharing network will allow for the secure exchange of consumer’s digital attributes to validate their identities and gain access to key online services. Our ecosystem ensures there is no data visible to the operator, no central database is ever created and there is no central point of failure. Similarly, providers and receivers cannot see where consumer data is going to or coming. Digital technology solutions partner specialized in disruptive technologies like blockchain, serverless and multi-cloud solutions, supporting the design, development, quality assurance and infrastructure services. Blockchain Products/Services Offered: Designing and implementation of smart contracts and support for the Hyperledger components with infrastructure and quality assurance services. Smart Block Laboratory is an independent software company. 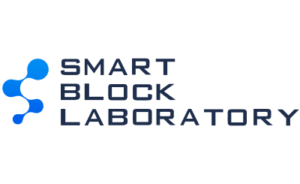 Key projects of Smart Block Laboratory are the following: Design and development of blockchain solutions and networks and development of software in the area of Internet of things (IoT). Blockchain Products/Services Offered: Our Blockchain Products: Design and development of blockchain networks based on Hyperledger Fabric; Analysis and development of business process models in information systems; Creation and management of cloud services; Project management. Some of our projects include The CRYPTOENTER blockchain-based payment system—A blockchain-based system that allows to make secure payments in multiple currencies and transfer different assets among the payment system participants—and The IoTNet platform—A system based on IoT model and intended to provide automatic services for standalone device management, the devices’ data collection and communication, as well as secure data storage. SmartLink Lab is committed to bringing efficiency to the securitization market through Blockchain technologies. We bring the business expertise of securitization including a deep understanding of the many parties involved, required disclosures. We are a company focusing on digital identity and asset management solutions for financial institutions. We provide full-stack systems, from the backend DLT (Hyperledger Iroha) to front-end mobile and web apps. As the original contributor to Hyperledger Iroha, we have the know-how to create systems that can be practically useful. Blockchain Products/Services Offered: Financial institutions can use our digital identity platform to streamline KYC compliance procedures (for individuals and for companies), create fast and secure settlement systems, and trade contracts and digital assets. Retail outlets, banks, and cities can create points and local currencies. Central banks and governments can create mobile digital currencies. Logistics companies can provide secure, in-transit visibility. Manufacturers can increase the efficiency of supply chain management. Syncsort is the global leader in Big Iron to Big Data software, organizing data everywhere to keep the world working. Our products provide a simple way to optimize, assure, integrate, and advance data, helping to solve for the present and prepare for the future. 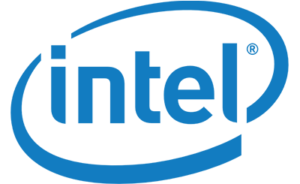 Blockchain Products/Services Offered: Syncsort is working to develop Hyperledger connectors in its Syncsort Integrate products to enable organizations to move enterprise-wide data on and off of blockchain. Syncsort is also planning to offer data enrichment and quality products for blockchain. Thales provides your organization with security and trust in data wherever data is created, shared or stored without impacting business agility. Blockchain Products/Services Offered: Hardware Security Modules and trust architectures offer variously: root of trust hardening for cryptographic elements, process execution integrity, enhanced trust for validators. We provide in-depth technical guidance, coaching and hands-on development support for developers and architects who create solutions with Hyperledger Fabric, .NET Core, or Angular. Blockchain Products/Services Offered: We provide on-the-job knowledge transfer for architects and developers, joint proof-of-concept and prototype development, development services for critical infrastructure components, software architecture reviews, and troubleshooting services. VitalHub uses web, mobile, and Blockchain technology to create disruptive SaaS-based healthcare applications targeting the mental health and long-term care space. VitalHub works to create high-value, secured solutions that enable broad interoperability among existing health data systems. Blockchain Products/Services Offered: VitalHub uses Hyperledger Fabric in creating regional level Blockchains for the mental health and long-term care space, designed to enable healthcare provider organizations to share relevant patient data. Blockchain Products/Services Offered: We are a thought-to-finish partner for our clients in their blockchain journey. We bring respected and well-recognized advisory services to clients on blockchain technologies, construct blockchain networks and tailor solutions leveraging our COE (center of excellence) combined with our powerful blockchain partner ecosystem. We help clients to experiment and deploy proofs-of-concept on blockchain technologies and incrementally expand to scale to production releases. Click here to know more. By adopting innovative blockchain technology, we provide SNS platform that includes trustless communication and multilayer tailored to the user's needs. 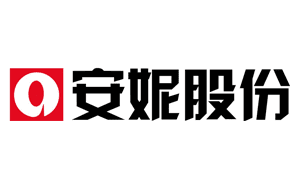 Xiamen Anne Corporation Limited is an integrated enterprise group which focus on Internet applications and services as the main domain and direction. Anne Corp. has four main businesses currently, which include the digital copyright service, digital marketing services, marketing services of business information paper and lottery marketing services. Blockchain Products/Services Offered: Based on Hyperledger Fabric, we have developed the copyright authentication application “Banquanjia”, and manuscript trading platform “Gaogao”, both of them are in commercial use now. What’s more, the picture-based trading platform (Picture Chains) is already under its internal test. The total number of users using our copyright blockchain system is close to 200,000, the transaction volume is over 900,000. The number of authentications and transactions of valid works is more than one million. MIUI is a mobile operating system optimized and customized by Android. It is also the first product of Xiaomi. From the first beta version released on August 16, 2010 to the present, MIUI currently has 280 million users, covering 55 languages ​​and supporting 142 countries and regions. Blockchain Products/Services Offered: Mi Addatachain is our product name. We use blockchain to implement data collaboration in marketing, and maximize data efficiency and data value under the protection of consumer privacy and data security. By proceeding to these resources, you may be leaving the hyperledger.org website.